Marque’d continue to be involved in a number of baby and child focused brand and design projects. These projects present a special challenge in achieving trust and acceptance from the consumer. This is due to the highly sensitive and emotionally significant subject – the flourishing of one’s own child. The instincts of a parent to protect their child are eternal and the dominant consideration when shopping for consumables in areas such as food, personal care, toys and equipment. The risk associated with the wrong choice comes with severe consequences, so consumers – parents – are on high alert, looking for anything out of place, anything dissonant that might signify a warning. For the producer and designer, designing to visually appeal to the consumer is one thing, but one cannot assume that an attractive product or packaging alone will do the selling. The internet is overflowing with forums and blogs about parenting, offering anecdotal evidence about what is best for babies and what parents should avoid. There is so much feedback from numerous channels and the pressure to perform as a good parent can be overwhelming. Parents look for ways to verify the safety and reliability of a product by word of mouth, especially recommendations from family and close friends; professional endorsement and, in the absence of these key references, retailer endorsement and the cues from the brand and product itself. Parents research products before buying on brand websites, cross referencing websites, product reviews, and forums. A recent PeopleShop study conducted by ARC found that toys and baby food are THE most researched products with 83% of those surveyed believing that, “it’s really important to buy a brand you trust.” Parents will research product ingredients on where and how they are sourced; possible side effects and their link to rare genetic deficiencies; and whether they hold any intellectual advancement properties. While this might sound daunting for the producer, it also offers opportunity for transparency to your brand’s benefit – provided, of course, your product is in fact good for baby. Place of manufacture often plays a role in reassuring customers that your product has been made to the highest safety standards. The reputation of some countries over others for the production of baby formula for example is taken very seriously. Bellamy’s Organic’s addition of the Made in Australia logo to their export baby formula packaging highlights the importance placed on this information especially in Asia and for the Chinese market in particular. ECO. Modern essentials have ranged face and body care products primarily for women up until this year when they extended their range to ECO.Baby. 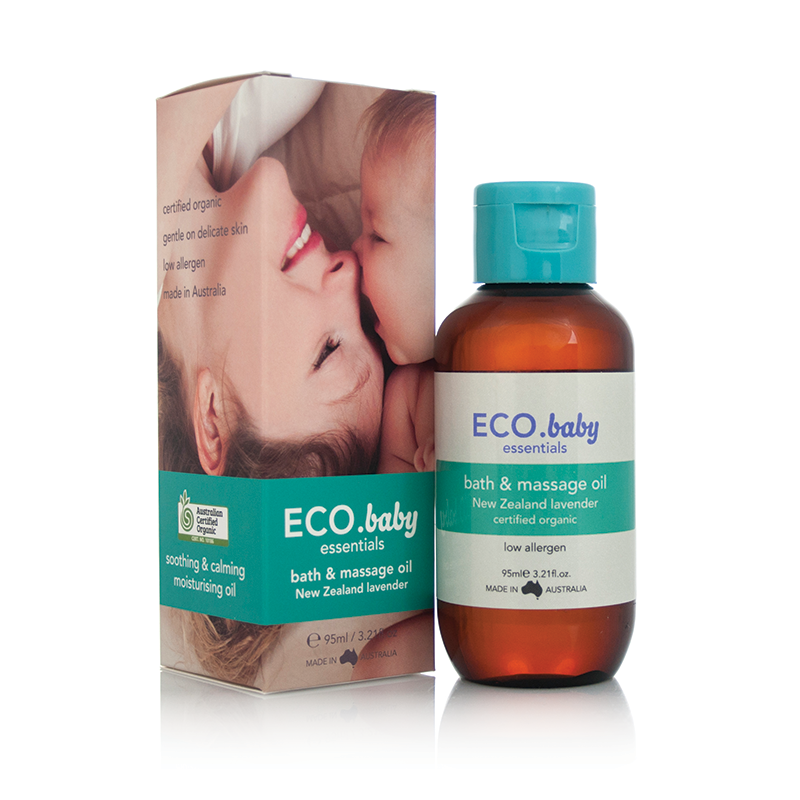 Though the core range has always sourced natural and organic ingredients with some products certified organic, ECO. chose to produce their baby range as exclusively organic, certified by the national organisation A.C.O. (Australian Certified Organic), offering to the consumer an independent verification of the authenticity of their claims about the safety and purity of their ingredients. Retailer positioning in national family goods chain Target acts as retailer endorsement for the quality of the product. The very rewarding result of successfully branding in the baby space is that when you win a customer you often keep them for life, and as long as you keep up your end of the brand promise, they often become an advocate for you to the next generation establishing that very powerful word of mouth recommendation to those who are most eager to receive it.